Provides children with Autism a teaching tool for preventing bullying and building self-esteem. The video is hosted by children from the video, who narrate each scene. The visual is combined with narration and graphics that help explain the particular rule. Each skill is demonstrated in more than one situation and across environments. This is useful to children with Autism because it helps with generalization of the skill taught. Graphics and music are used to make the video appealing to children with Autism. 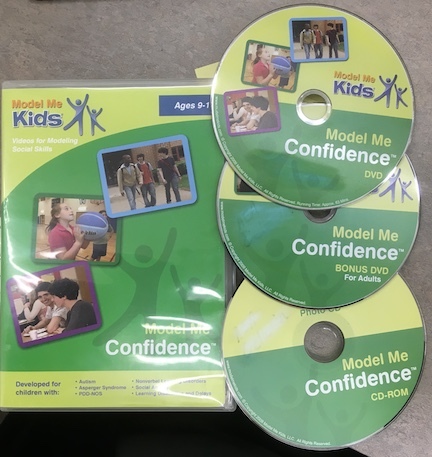 Includes Self-Advocacy; Peer Pressure; Choosing Friends; Building Strengths; Visualization; Positive Self-Talk; Scripting; Stay with Others; Telling Isn't Tattling; Walk Tall; Group Discussion. Developed for ages 9-17 with autism, Asperger Syndrome, PDD-NOS, nonverbal learning disorders, social anxiety, and learning disabilities & delays. Kit contains two DVDs and photo CD-ROM. IL 4-12.